On June 25th, 2015, the Supreme Court upheld a key provision of the Affordable Care Act (ACA) in a 6 – 3 decision delivered by Chief Justice Roberts stating the premium tax credits offered under Sec. 36B of the Internal Revenue Code (IRC) are not to be limited to taxpayers residing in a state that has established a health insurance exchange of its own. The Supreme Court’s highly anticipated decision in King v. Burwell, confirms the availability of the tax credits (commonly called health insurance subsidies) to individuals who purchase their health insurance on an exchange created by the federal government, thus, sustaining the ability of qualifying individuals in 37 states to obtain the subsidies despite the lack of a state operated exchange. The decision of King v. Burwell puts an end to what many thought was the best effort to defeat “Obamacare.” The main question before the Supreme Court was whether the Internal Revenue Service regulations could extend tax credit subsidies for health insurance coverage, which is purchased through exchanges established by the federal government, when IRC Sec. 36B appears to limit those subsidies to coverage purchased through an exchange “established by the State”. The plaintiff argued that subsidies should not be available if the health insurance was purchased on the federally established health exchange, Healthcare.gov. The federal government countered the plaintiff’s argument that if the ACA is taken in its entirety, it is clear that the subsidies are available to anyone who purchases health insurance on an exchange regardless of whether it is a federal exchange or a state exchange, and to interpret the legislation any other way would end not just the subsidies offered by the ACA but all of the provisions in the ACA. The Supreme Court’s decision gives another win to the Obama Administration and the ACA which makes any future legal challenges on the legislation more difficult. It also brings relief to many employees of small employers and self-employed individuals in that they would cease to have health care coverage if the subsidies were no longer available. Furthermore, one could conclude that in order to alter the legislation in the future, Congress would need to implement an entire replacement of the law rather than make small changes. 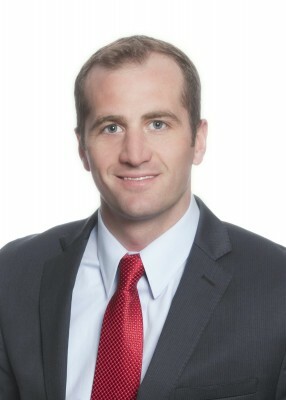 Mark is a Tax Senior Associate at Keiter. Mark applies his tax experience to provide the insights needed to help his clients manage and grow their businesses. Read more of Mark’s tax insights on our blog.